Here I will post just a few images every now and then - just things that have arrived, things I'm working on or have recently solved! Yavuz Demirrhan has opened a store on Etsy - it's well worth a visit. 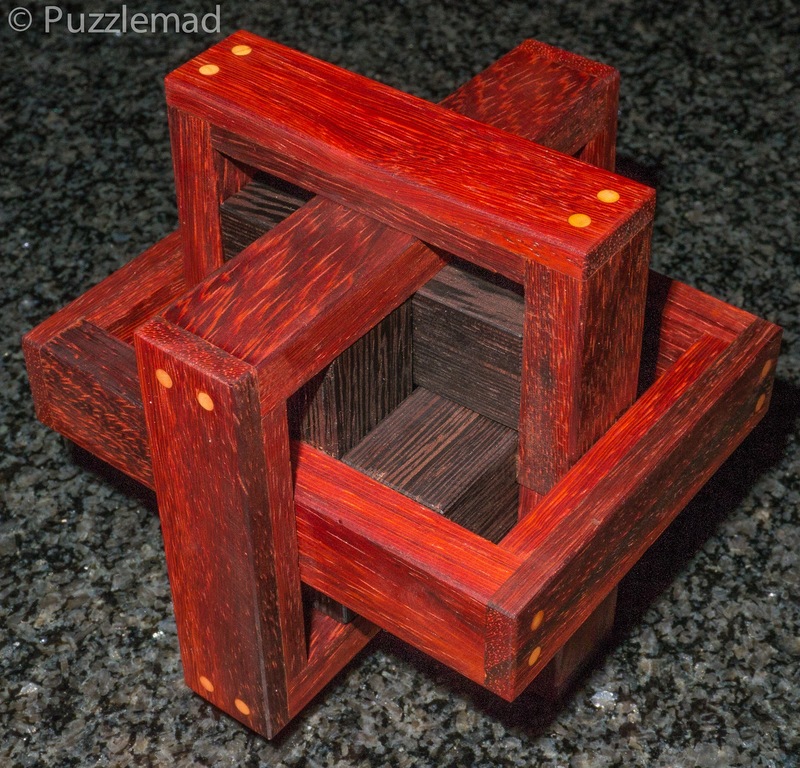 The workmanship is superb and the puzzles challenging. Volantis is a stunning construction that is not particularly tough to solve with a level of 3.1.1.1.1.1.1.1.1.1.1.2 but I am sure the reassembly might challenge me a fair bit. It will certainly look great on display. 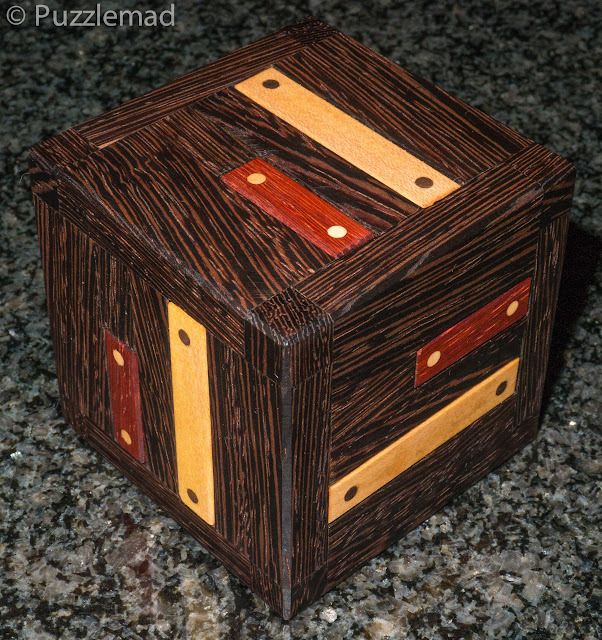 The reinforcing dowels really add to the look of the puzzle. Forma is an interesting design with level 3.1.1.2 and also looks stunning. 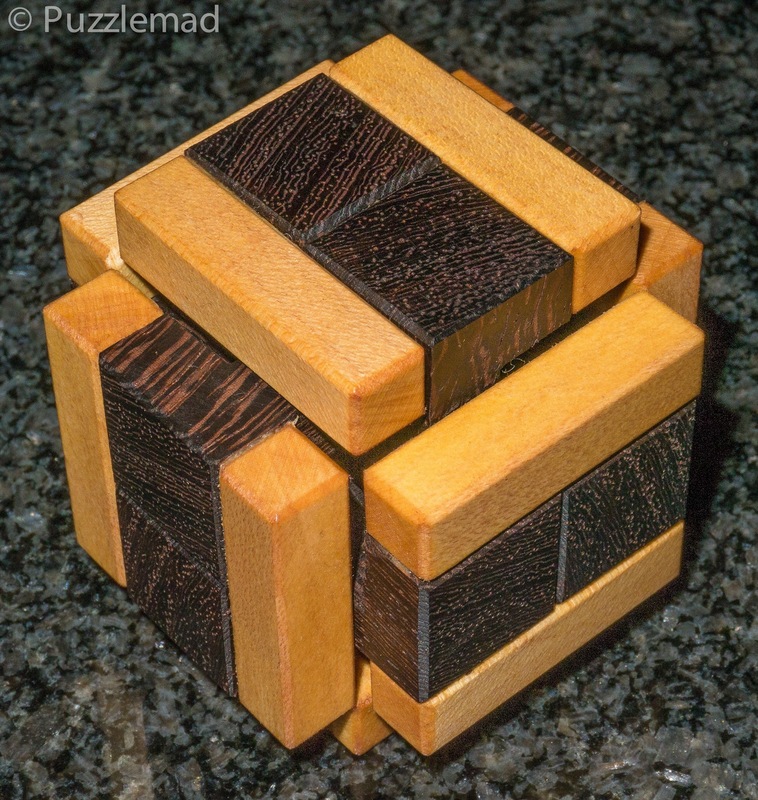 Rubus cube is much more challenging - the rather simple pieces in the slots are all intertwined and the puzzle has a level of 14.1.6.1.3.1 to remove them. 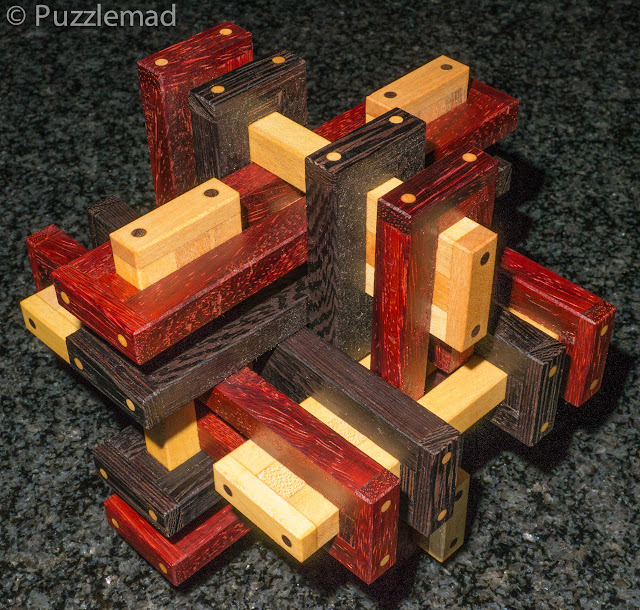 The oddly named Queen Sixteen has a challenging level of 16.2.3 to separate the very unusually shaped pieces. This little lot should keep me occupied for a little while! KMS 2014. Awesome Inc. theme. Powered by Blogger.